With reviews like this resounding in our ears, it is clear that, with the arrival of Vince Yi, a new counter-tenor star is born. Born in South Korea, he grew up in California, and studied at Boston University (BM, MM) and the University of Michigan (DMA). While still a student his remarkable vocal talents were recognised with a string of awards, (including The Shoshana Foundation Richard F. Gold Career Grant, previous winners of which have included Reneé Fleming and David Daniels), and critically-acclaimed performances. 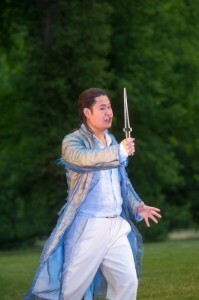 One critic wrote: “Vince Yi blew our socks off”; another exclaimed: “ … my jaw … dropped all the way to the floor … ” His repertoire already ranges from Monteverdi (Nerone in L’Incoronazione di Poppea), Charpentier and Bach, to Oberon in Britten’s A Midsummer Night’s Dream and the Cardinal/Oracle in Philip Glass’s Galileo Galilei. In 2007 he gained a place as the only counter-tenor on San Francisco Opera’s prestigious Merola Program for young artists, following in the footsteps of such international stars as Anna Netrebko and Thomas Hampson. Here, he sang roles as diverse as Idamante in Mozart’s Idomeneo and the lead in Handel’s Giulio Cesare. 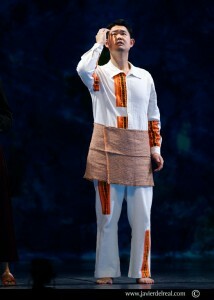 In 2009 he made his Carnegie Hall debut under the auspices of the Marilyn Horne Foundation “The Song Continues” series. 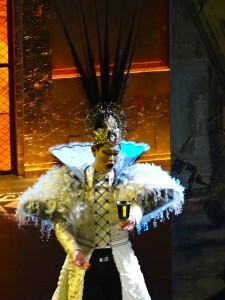 Now rapidly forging an international reputation, he arrived on European stages singing the male lead in Johann Adolf Hasse’s Piramo e Tisbe (Musikfestspiele Potsdam Sanssouci 2012). He has since appeared in the dazzling “Gala Night of Countertenors” at the Palace of Versailles, which has recently been recorded and will tour Europe in the coming season. This season, he appeared in Peter Sellar’s new production of Purcell’s The Indian Queen (Perm Opera, Teatro Real Madrid 2013), which was aired live on Mezzo and recorded for DVD release. He also performed the title-role in Leonardo Vinci’s Artaserse, (Opéra Royal de Versailles, Cologne Opera, Concertgebouw Amsterdam 2014). Future plans for the 2014-2015 season include another production of The Indian Queen at English National Opera, a staged production, CD recording, and European tour of Hasse’s long-forgotten Catone in Utica, where he sings the role of Emilia. The 2015-2016 season begins with the role of Fraarte in a new staged production and CD recording of Handel’s Radamisto, which will tour Europe after its premier at Opera Frankfurt. In addition to his performing, Vince served on the voice faculty at University of Michigan, Western Michigan University, and Belvoir Terrace, a performing and fine arts camp for gifted girls.